Though MMA news has mostly been bleak as of late with the cancellations of Tony Ferguson vs. Khabib Nurmagomedov and Carlos Condit vs. Matt Brown, not all the news is bad. In rare good news for fight fans, UFC President Dana White dropped a bombshell on Wednesday evening during a pre-fight interview while promoting this Saturday night's UFC 223 pay-per-view card. During an appearance on UFC Tonight, White revealed to host Daniel Cormier that former UFC Heavyweight Champion Brock Lesnar will be returning the Octagon sometime later in 2018, after his contract with the WWE expires following this Sunday's Wrestlemania event. 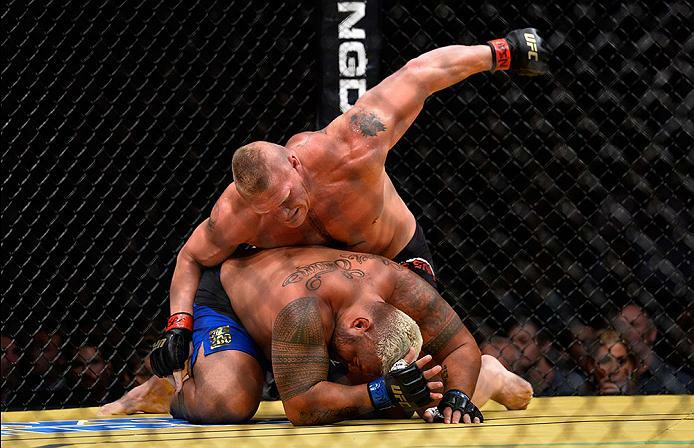 Before Lesnar can return to the UFC he will first have to get cleared by USADA, however, as he still has six months left on his suspension after testing positive following his fight against Mark Hunt at UFC 200. That bout, which took place in July 2016, was later turned into a No Contest, and Lesnar returned to WWE after it, which means he still has time left to serve on his sentence. But once his suspension ends -- and it could very well be just in time for a huge UFC event in November or December -- the UFC will be welcoming back one of the sport's biggest stars at a time when the promotion is in dire need of another superstar on its roster. Not only is Lesnar's return great for business, it's also great for the heavyweight division, which will not only soon be adding a former champion back to its ranks, but also someone who will bring even more attention back to the heavyweight division at a time when it's booming. After a few years where heavyweight seemed dead, mostly due to former champion Cain Velasquez constantly getting hurt, things at 265 lbs have really been looking up as of late, and Lesnar's return makes things even brighter. The UFC has a great champion in Stipe Miocic holding the belt right now, someone who is not only an exciting fighter but also someone who wants to stay active and defend his belt, and will do so this summer at UFC 226 when he takes on the aforementioned Cormier in a superfight. There are also new, emerging contenders like Alexander Volkov and Curtis Blaydes showing that the future of the division is bright. Plus, legends like Alistair Overeem and Fabricio Werdum have remained active. Even with guys like Velasquez, Junior dos Santos, and Ben Rothwell not fighting, the state of the division is better than it has been in years. The return of Lesnar adds an immediate title contender to a division that is suddenly full of them. For his return fight, the UFC will have a ton of options for Lesnar's opponent. The promotion could very well just give him a title shot against the winner of Miocic vs. Cormier. 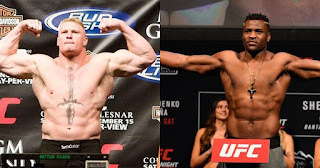 It could also grant Francis Ngannou his wish to fight Lesnar. A rematch with Hunt shouldn't be entirely dismissed, neither should a rematch with Velasquez if he's healthy. Or you could give him an aging contender like Overeem or Werdum. Basically, there are a lot of options for the UFC right now. It's a great problem for the UFC to have, especially with Conor McGregor's future up in the air after his arrest in New York. Though Lesnar still has to serve his USADA suspension, the wheels are in motion for the return of one of MMA's all-time greatest heavyweights. 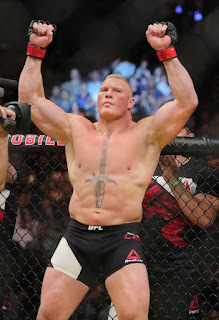 When Lesnar is ready to fight again the UFC is going to no doubt be excited to promote his next match. Even with the steroid issue looming in the background, fans will forgive Lesnar pretty quickly, considering the excitement he brings to the sport, and journalists will love the clicks they get from writing about his fights. It's great to have Lesnar back in the Octagon, and a heavyweight division that was looking stale for a long time continues to look up and make strides as one of the UFC's most exciting weight classes in 2018.